The Information and Public Affairs Office (IPAO), a division responsible for the preservation of various Institutional records of permanent value, recently held a Learning Session on Basic Records Management on 13 November 2018. 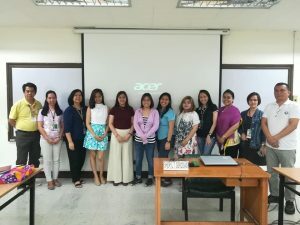 Selected staff were able to discern the latest trends on managing records and the best possible way to keep those records from losses due to several factors as discussed by the Resource Speaker, Ms. Sheryl T. Gerodias, Head Librarian of University Records Section of the UP Diliman University Library. 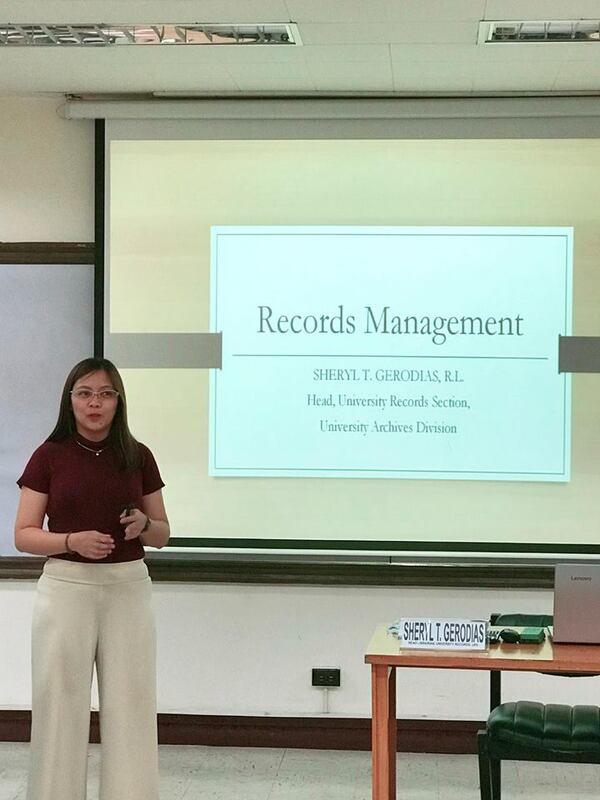 Ms. Sheryl Gerodias explains some points on different types of records and the proper way of storing of the same. A workshop was also facilitated to give the participants active engagement on the topic being discussed and later evaluated by the invited speaker. The learning session lasted for three hours with participants having gained knowledge on the importance of records management and the proper way of storing old files and other techniques by using modern technologies. 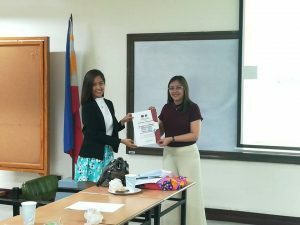 Ms. Jocelle Mamaril, Officer-in-Charge of IPAO, awards the certificate of appreciation to Ms. Sheryl Gerodias. The participants of the learning session. 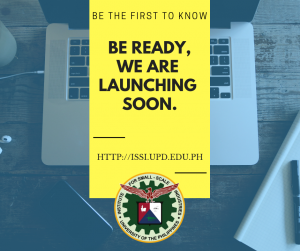 A follow through learning session on digitization is planned for the first quarter of 2019.